things are great things brought to pass. Sister is now a "Mother". own problems grew a little smaller. finally hit that 15 minute stretch home. but I had made it, I was there, now- we waited. make it any easier to cool down. of occurring events, any of us could hardly sit still. back to the Emergency Room, to the "Blue Elevators"
Room 7: (7 being David Murphy's number). 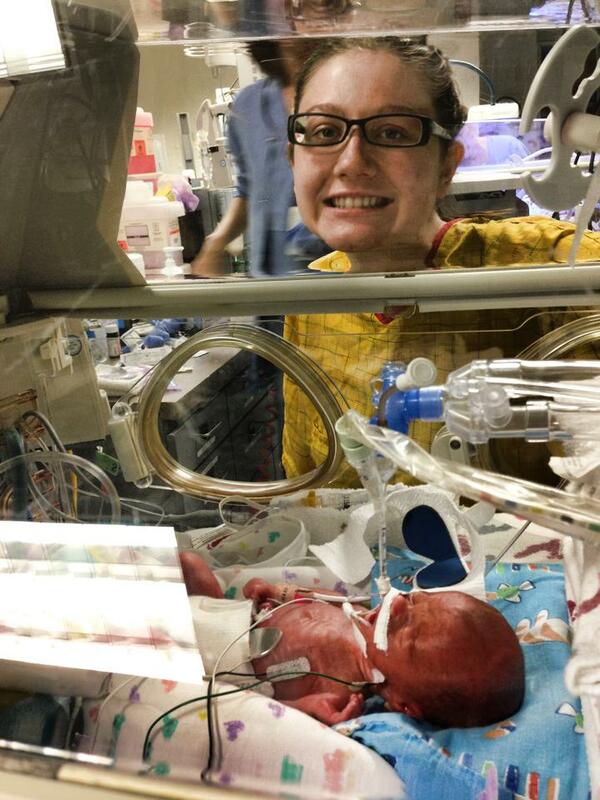 her blood pressure but to give the baby a chance to survive. at 10:46 pm weighing 1 lb. 7 oz. (I am not one for superstitions but this number 7 sure has been coming around a lot). for the new parents, Heather and Tim Farmer. was doing his best to get his blood pressure up! visited the sweetest boy for the first time. being surgery, since the vaulve didn't close on it's own. active keeping daddy preoccupied with photo ops. blood pressure medication (hey, he is Farmer-hearted. water and makes his hands and feet all puffy. much so that he can be a part of his new family!